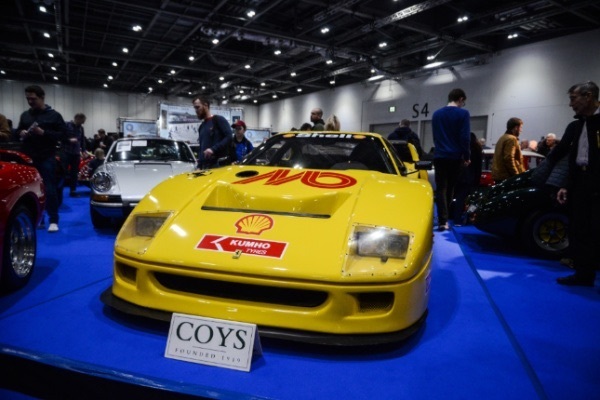 As one would expect, the London Classic Car Show attracted a massive amount of carefully restored and meticulously polished classics. Gleaming garage queens that are carefully kept in climate-controlled garages see the open road only when the weather is fair. And then there was Jensen C-V8 MkII with its Mad Max-esque engineering and Bonneville patina. It was the black sheep of the show, drawing confused and amazed crowds to itself. I managed to get a few words with the brilliant mind behind the project, engineer Ian Northeast. 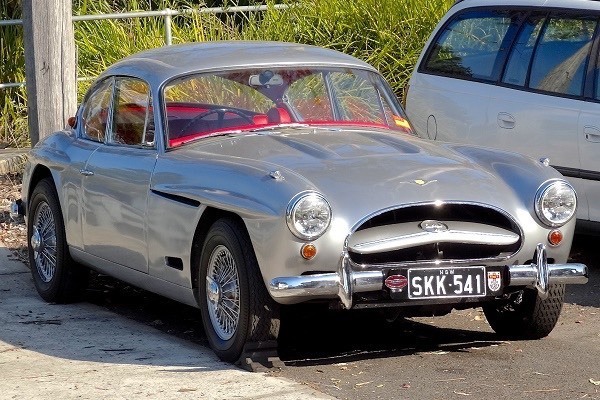 Ian was enticed by the challenge of unlocking the full potential of Jensen C-V8’s platform and thus took on this project. 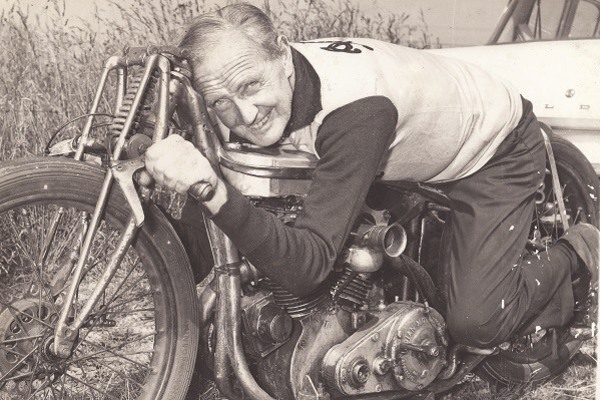 He set a goal of reaching the magical 200 mph (322 km/h) mark by utilizing the original V8 engine block. That is approximately 55% faster than the car was initially designed to go. 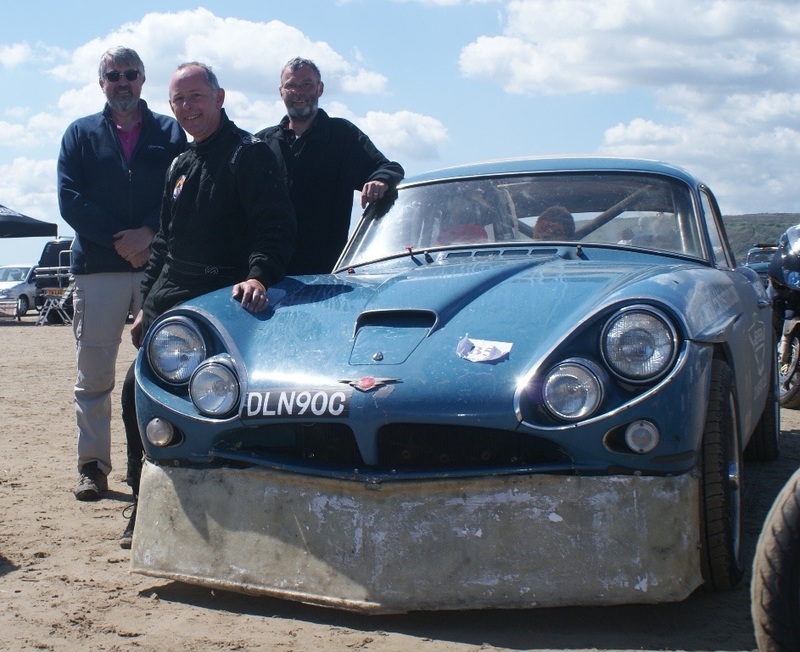 Few would undertake such a challenge, and C-V8 is not the most suitable base to chase speed records. Especially factoring in that only around 500 of these cars were built in total. 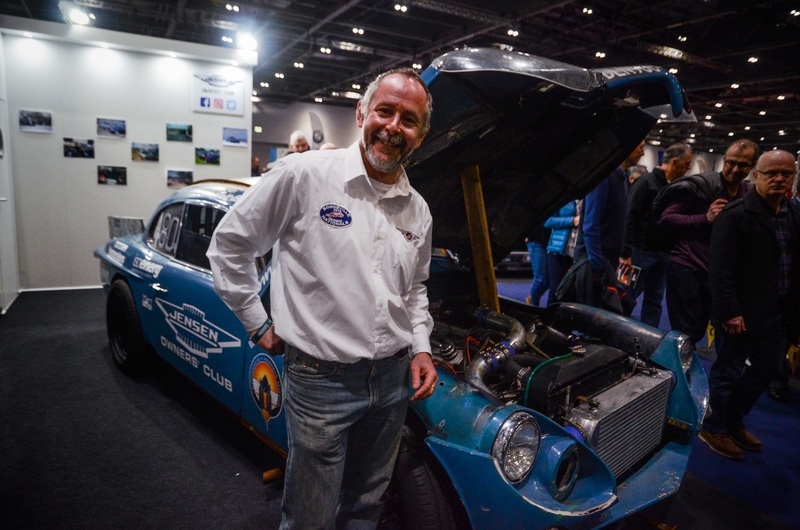 But Ian knows a thing or two about going fast as he’s a motorcycle engineer and an educational ambassador at Project Bloodhound (the one that made a 1000 MPH jet car). Naturally, some modifications were installed to reach the desired goal. Jensen’s 7.2 l V8 of Chrysler origin was stroked out to 8.2 l, received lumpier cams and electronic fuel injection. Now, it sends the power throw a 5-speed Jaguar XJS box to a 9” Ford rear-end, which was chosen for its long ratio. As downforce was not really a word in the 1960s, Ian had to develop some aerodynamic aids by himself. 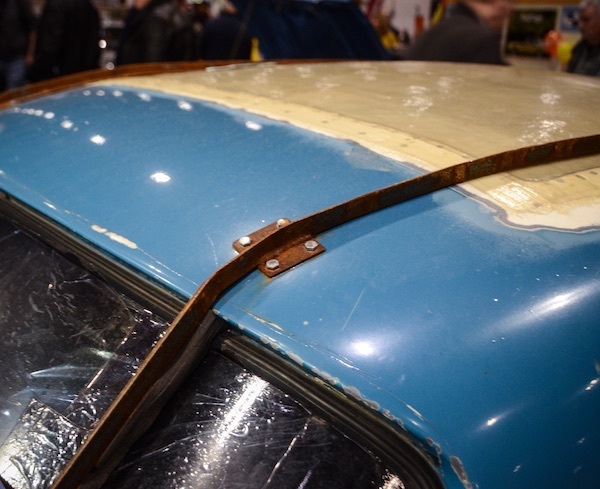 There is the DIY spoiler made of hardware store fittings you see in the pictures. 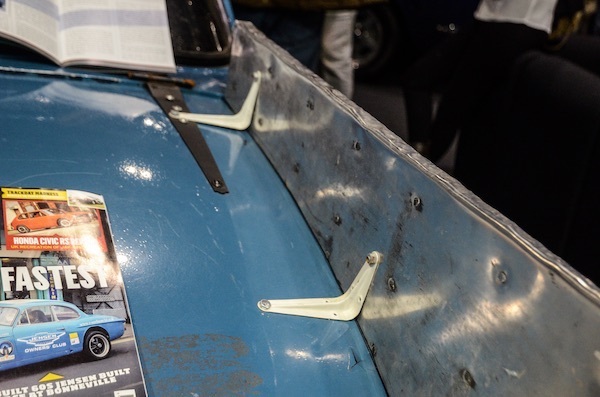 At high speed, it’s the aerodynamic downforce that keeps the car glued to the salt surface – Ian even retained the original suspension in the rear and made only minor modifications upfront. hen transforming a 60s GT into a speed record breaker, safety is paramount. So, a roll cage, a fire suppression system and a parachute were fitted. 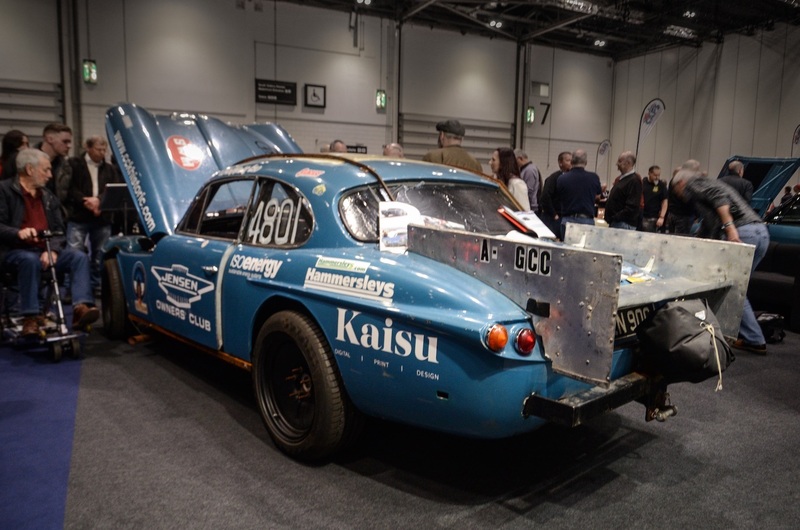 It may not seem this way at first, but this Jensen is still perfectly street-legal and runs on regular petrol. However, Ian said he never takes it on a shop run as the 600 bhp motor is just a bit too thirsty. 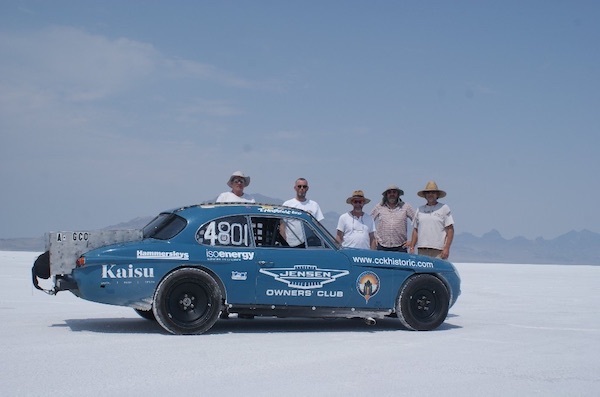 A tight timeframe meant that only a portion of the planned preparations was completed before the car was sent off stateside to race in Bonneville last year. On top of that, the team was plagued with technical mishaps. At first, one loose wire short-circuited the ECU, undoing all the effort spent tuning the car. Then there were clutch problems, which made the 200 mph goal unattainable. 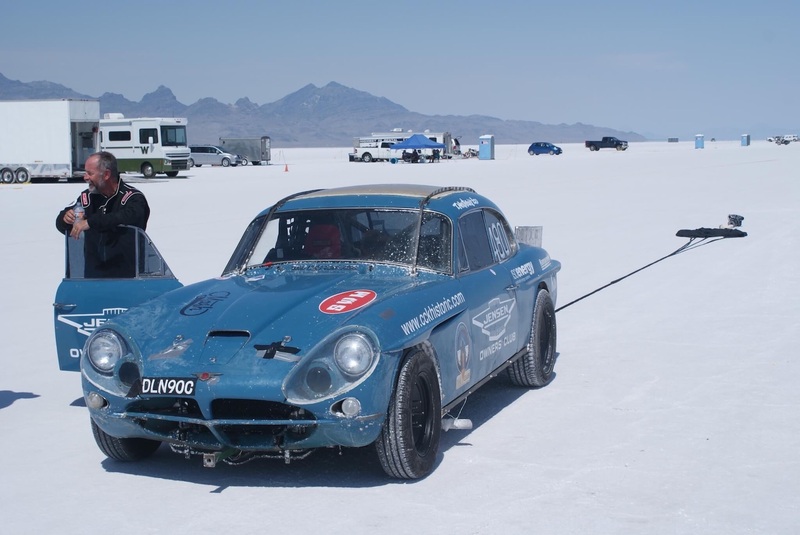 The car maxed out at 148 mph (238 km/h) on a tuning run. 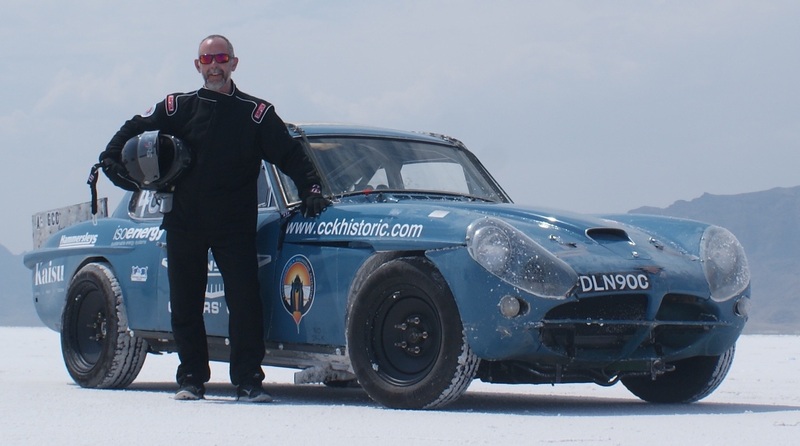 During the officially timed run, Ian reached a slightly more modest 143 mph before busting a gearbox. The salt did take a toll on the car. Besides the mechanical issues, its paint lost its shine, and all of the metal parts began corroding. 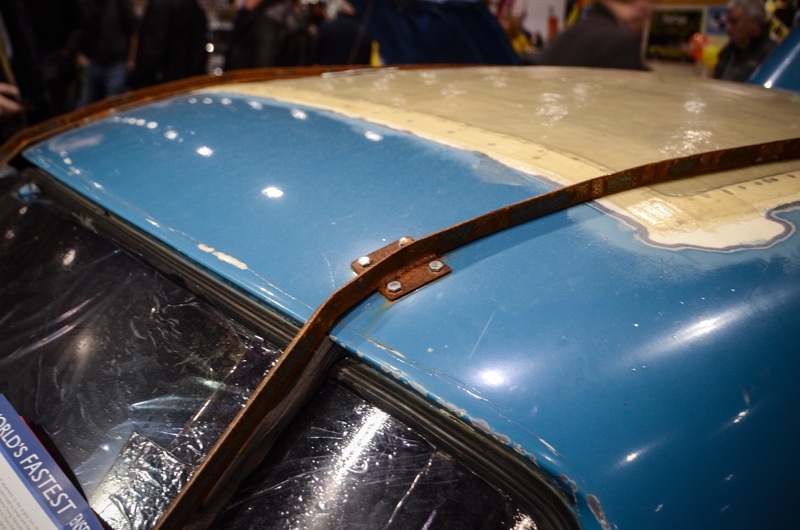 At least the fiberglass body is immune to rust. 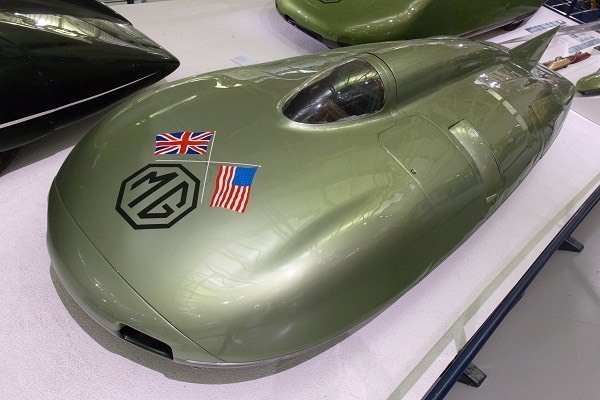 What is next for the world’s fastest Jensen? Ian keeps his eyes on the prize. After the London Classic Car Show, Ian brought the car back for further modifications. 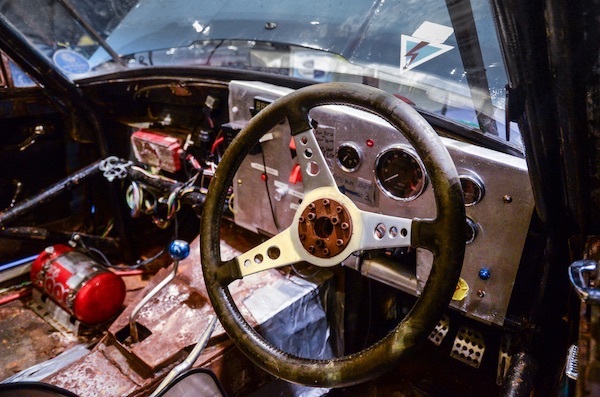 It is going to receive a turbocharger and a 6-speed gearbox to hit the magic 200 mph mark. It is estimated that forced induction will bump the V8 power to 800 bhp. Ian will attack the Salt again in 2020, you can follow the team’s progress and become a sponsor on WorldsFastestJensen.co.uk.